Edinburgh has a history that you wouldn’t believe. It’s a city of mystery, murder, darkness and secrecy. It’s a city that you can do a lot in, in a very short amount of time. 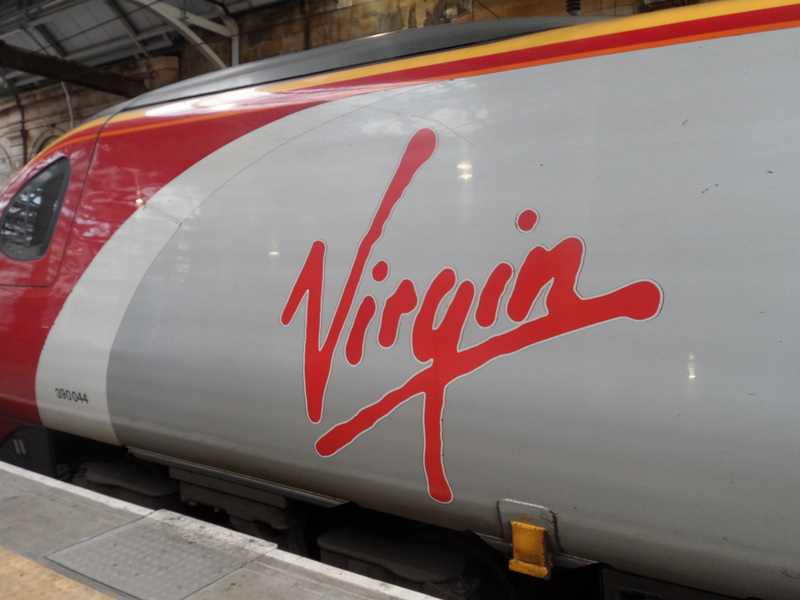 We took the train with the Virgin Train company which was pretty comfortable, so comfortable that “The Tall Young Gentleman” thought the seats were first class! They weren’t. Our compartment was in second class, had soft comfy seats, free 30 minute WIFI, which was a little faint but still, and was in the quiet zone. We travelled from Warrington Bank Quay to Edinburgh Waverley. I wasn’t exactly sure how far our hotel was from the centre as there were 7 Premier Inn hotels in Edinburgh so I picked the station that I knew for sure, was in the centre of the city. We were travelling on from Edinburgh to Inverness so I booked advanced single tickets: £50 pounds for two adults and £12.50 for a child. A total of £62.50 or about €75. My husband had never been to Scotland before so one of the first things you just have to do, in any city, is to go on a tour. Edinburgh is an old historical city so the best way to see it, is on foot. I am a walker. I absolutely love walking. Walking around is a brilliant way to see where you are, establish your bearings and get to grips with your surroundings. In economic times, finding a way to cut costs is the rage, so a free walking tour it was to be. I had gone on the internet looking for a tour that would be informative and at the same time local and found SANDEMANs NEW Europe free walking tours. This company runs tours in Tel Aviv, New York, and most European capital cities. In fact, I have taken the Berlin walking tour myself. Even though, I live in Berlin, I love taking a tour so that I can keep up to date with new buildings and infrastructure. The truth is, most people have absolutely no idea of their own city. It just makes logical sense! Anyway, as soon as we had checked into our hotel and sorted out things that needed to be sorted out, we rushed to the meeting point of the Edinburgh walking tour which was outside Starbucks on the Royal Mile. The Royal Mile is a very long road and is, as it suggests, a mile long but not as we know it today but rather, a Scottish mile. A Scottish mile of old is about 1.81km or 1.12 miles today and roughly spans from Edinburgh Castle to the Queen’s official residential Palace of Holyroodhouse. It is also in the Old Town. 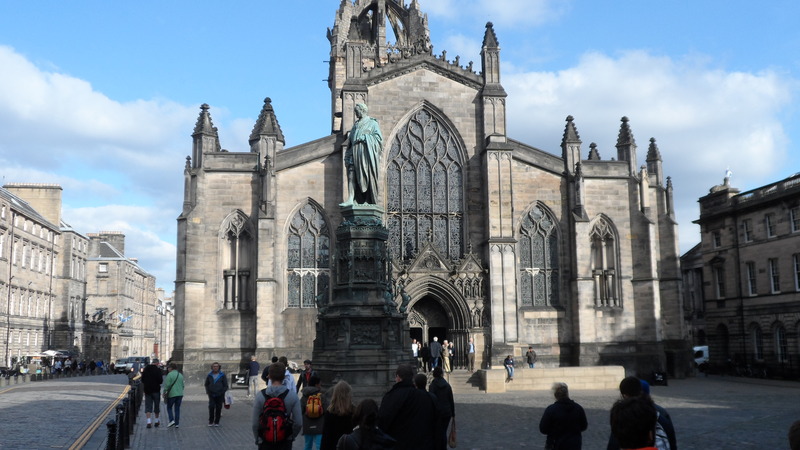 The Royal Mile is actually made up of four distinct streets; Castlehill, Lawnmarket, the High Street and Canongate. If you’re familiar with British history, you’ll know that names aren’t just names but had significance in them. 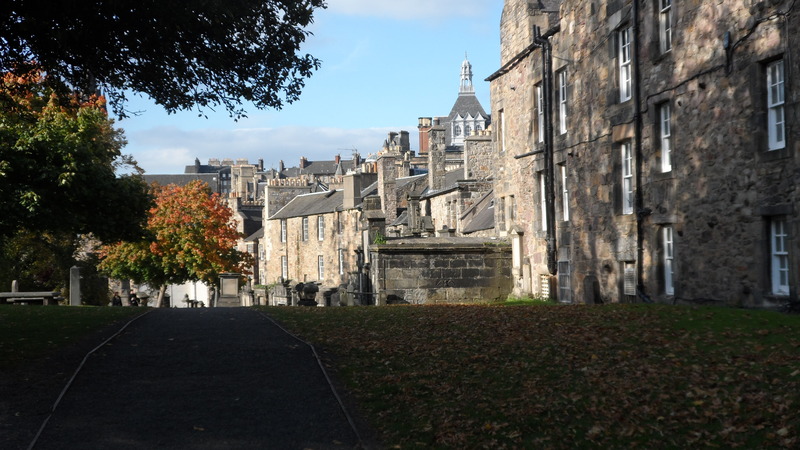 So for example, Castlehill would be the hill surrounding the castle, Lawnmarket which is the oldest part of the Old Town, would be where goods from the countryside, would be sold in the market, Canongate because of the “Canons” of the local Abbey and “gaet” because of the various pathways and passages, etc. We met our tour guide – a Scottish young man called Ben Hunter who originally came from Aberdeen! He was a brilliant guide. He told us of the 5,000 year old history of Scotland, the story of the Scottish people’s fight for autonomy and the issue of self-rule and independence once again. He took our group around the many cobbled streets of Edinburgh on a 2.5 hour walk in the Old Town, near the castle, outside the steps of St. Giles Cathedral, to the grave yards because of Edinburgh’s most famous dog, Grayfriar Bobby, and the bodysnatchers of the Victorian age and of course to where it all began. J.K. Rowling and Harry Potter. All around can be found glimpses of Hogwarts and the very café and hotels where J.K. Rowling wrote her books. 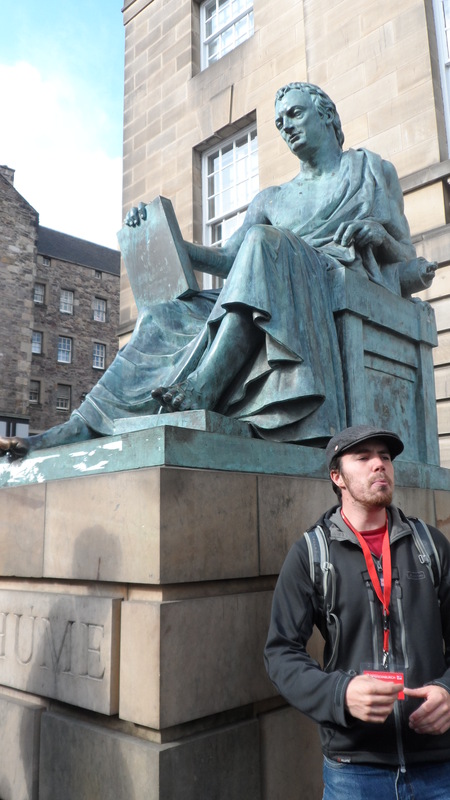 The statue of David Hume with Ben. There was also a snack and toilet break halfway through in the Grassmarket part of the city where hay, corn and seeds used to be sold as well as public executions for the pleasure of the brawling public in the 17th century. All in all, it was a really good walk and great value for money. It was so good that we gave Ben a well-deserved generous tip. Did you know that Edinburgh is divided into two parts: the Old Town of medieval days and the New Town of Georgian splendour? Did you know that the Scottish people derive from the Scots or the Gaelic Celts, the Picts, the Britons, The Celts, the Anglo-Saxons and the Norse Vikings? Did you know that Scotland has produced world-reknown writers and poets such as Robert Burns, Sir Walter Scott and Robert Louis Stevenson. 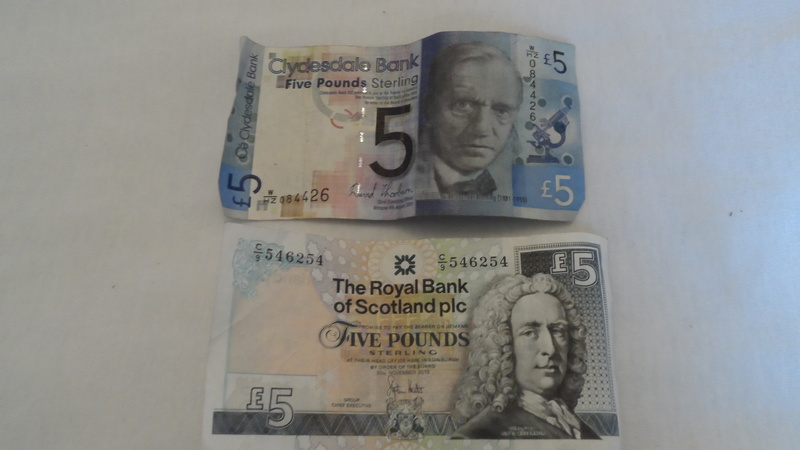 Did you know that Scotland has its own church – the Church of Scotland – and its own Scottish currency? Scottish money is 1:1 in the UK. Did you know that Prince William went to the oldest university in Scotland: the University of St. Andrews, in Fife? Did you know that Edinburgh as the capital of Scotland, is an important member of The Kingdom? I know many people find this issue confusing. I know my students do! The definition of the United Kingdom and that of Great Britain is a little complicated but basically, as I understand it, the UK consists of the Kingdoms of England, Scotland, Wales and Northern Ireland. They are separate countries with individual laws, but they are not sovereign. Great Britain on the other hand, consists of The Kingdoms and all the crown dependencies such as the Channel Islands, the Isle of Man, the Isle of Wight and other little islands surrounding it and of course, British Overseas Territories such as Bermuda, the Falklands and Gibraltar. 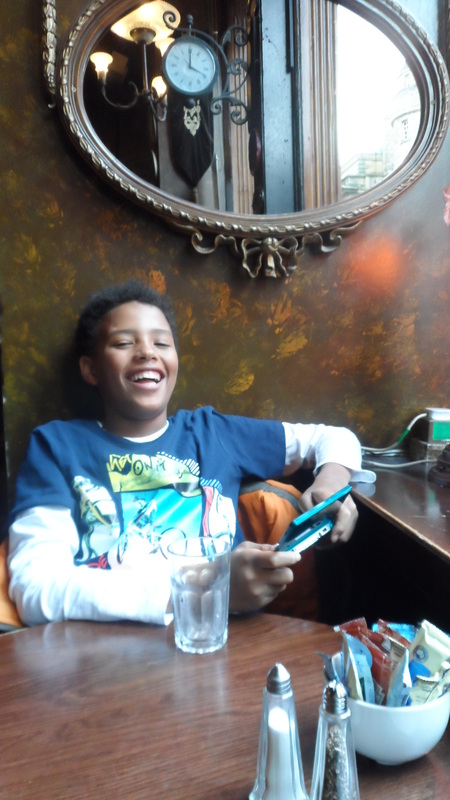 “The Tall Young Gentleman” having a good old laugh! 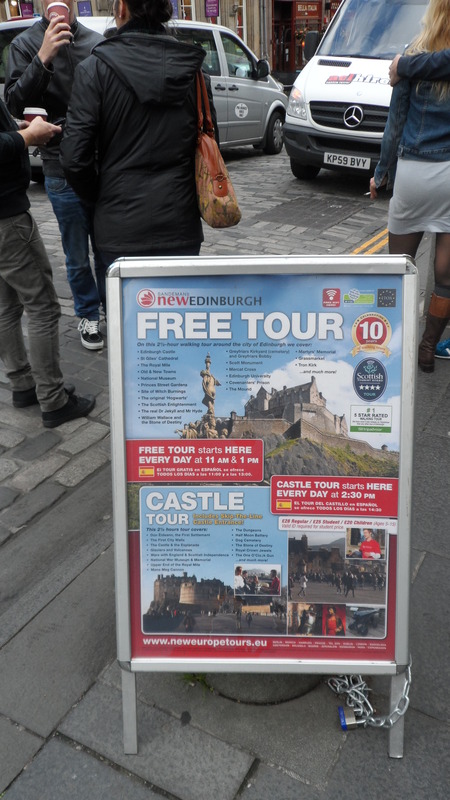 The free walking tour can be found on: http://www.newedinburghtours.com/daily-tours/new-edinburgh-free-tour.html. Bring sturdy shoes and a raincoat, jacket or jumper. Price: Absolutely nothing! SANDEMANs NEW Europe also does other tours which unfortunately, are not free such as: The Dark Side tours which focuses on 18th century murder and gore. Price: €12. The Castle Tour which focuses purely on Edinburgh Castle and its history. Price: €33 and no queuing! 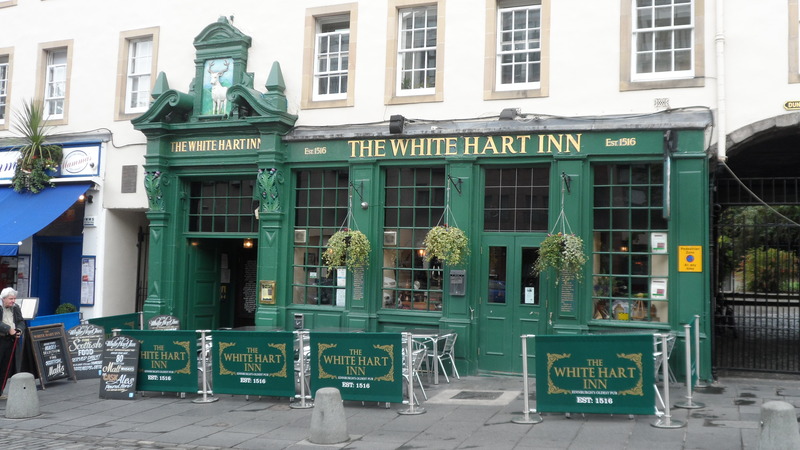 Last, but not least, they also do a New Edinburgh Pub Crawl which focuses on hidden pubs and local bars and clubs. Price: €15 and you must be over 18 years old. I personally consider Edinburgh to be a primarily rugged kind of place but with alarmingly beautiful landscape, mysterious side streets and alleyways, a city of culture and learning with a dark and unforgiving past. What do you think? Is Edinburgh a city with a past or a city of the future? Previous PostSometimes, it’s alright to admit that hotels are better than hostels!Next PostTHE FIRST TIME IS THE BEST TIME: THE LIEBSTER AWARD! I love just walking too – especially getting lost in a new city! Andrea & John, I totally agree. It’s brilliant walking around and not having a clue where you’re going! Wow! Thank you so much Jess. I’m a bit overwhelmed as I’m so new to the blogging world but I feel absolutely honoured and enormously pleased! Thanks so much for the support and thank you blogging world! Yes, that’s how I felt when I first started too. You have to start somewhere. If you need any help just let me know. Thank you so much Jess. I would like to accept the Nomination. How do I link you and is the badge sent to me seperately or do I have to cut n’ paste? Simple questions, I’m sure but…! P.S. for consistency’s sake, my blog goes out on a Sunday. Image-If you click on the image from my post, it will take you to a page where it is only the picture. Right click on the image and save the image to your computer. Then upload it as you normally would in your post. Linking-To link me, when mentioning my site in your post you would just highlight “Turquoise Compass” and then just below the “add media button” beside the bold and italics icons, there is the link button (the 9th icon after the bold “B” icon). With my name highlighted press that button. A page will open where you will enter my website address http://www.turquoisecompass.com and the title of my website. I am a big walker too. We here in NYC do it a lot. So much to see, take in, and explore that way. I would love to explore Scotland. Edinburgh looks so interesting and your pictures are great. Of course I would love a pint at The White Hart Inn! Thanks so much for your lovely comments about the photographs and my blog Filbio. You’re so kind. Whenever I get to your neck of the woods I’ll let you know ‘cos NY is going to be one hell of a trip! On a serious note, Scotland really is such a lovely place to explore especially if you like history, culture and the great outdoors! Definately, let me know when you come to Europe and if you have any questions about anything do let me know. I’ll try my best! P.S. A stiff whisky from the Highlands is not to be sniffed at. I’ll be writing about that in a couple of weeks LOL!